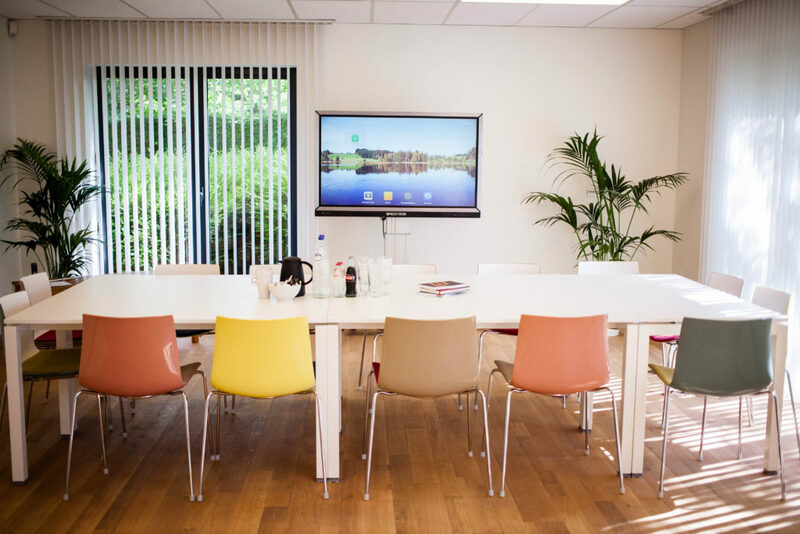 We provide an excellent space for your meeting or seminar. 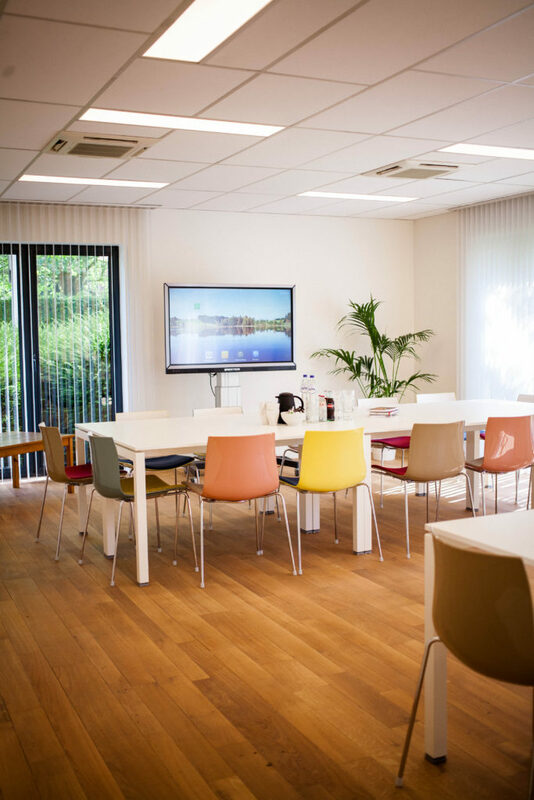 Ideally located between Brussels and Antwerp, in a quiet neighborhood near the A12 and E19 highways, you will find this comfortable space for 2 to 30 people. 9 large tables, to be placed in a set-up of your choice. One portable, interactive, 55-inch LED screen. Catering facilities (in cooperation with an external caterer). For smaller groups (up to 16 people) the room can be reduced to 34 m². 4h / day: 265 euros (175 euros for reduced space of 34 m²). 8h or more / day: 375 euros (250 euros for reduced space of 34 m²). 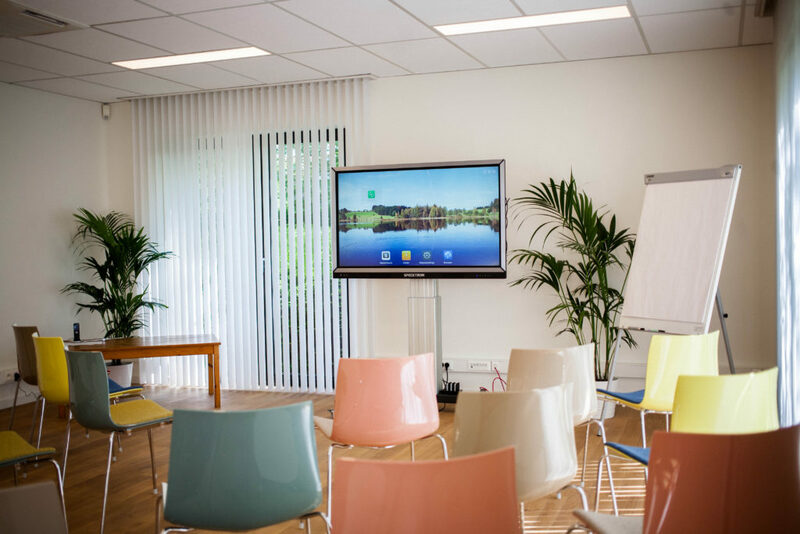 The meeting room is located at Mastboomstraat 8, 2630 Aartselaar. Sounds interesting? 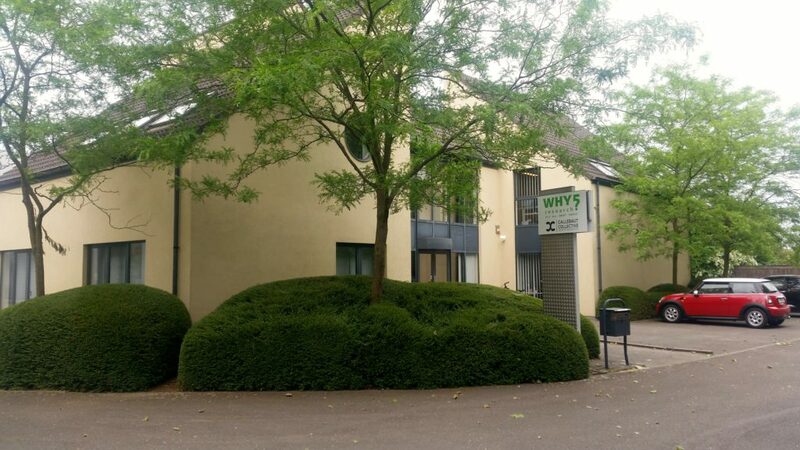 Send an email to our colleague Inge Van Immerseel via Inge@WHY5Research.com or call us on +32 3 294 76 30!